NATIONAL and STATE DEBT LEVELS – Uncle Sam was Crying… Now he's out to change Washington. Taxes are not too low, you are spending too much! Did you realize Federal law requires all governments to maintain and produce two annual accounting documents? Obama desires more debt rather than present balanced budget proposals, thus sending America further into the red. Red is a great color for a University’s color scheme; however, we are not playing football. Barry’s annual deficits average $952 billion; this doubles the $415 billion during Bush’s term. Sputnik moment… the IMF demanded the U.S. to reduce our deficits. Perhaps Barry will listen to a world organization; he obviously doesn’t hear or listen to the American people. Neither does Harry Reid or Nancy Pelosi, Mr. and Mrs. Flip-Flop. Do you recall Harry Reid commentary viewed March 2006 on C-span, “Most Americans know that increasing debt is the last thing we should be doing…Any credible economist would tell you that we should be reducing debt, not increasing it.” Nancy believes unemployment checks stimulate the economy, and…“job creating, faster than any other initiative you can name.” These politicians lead America…the wrong way, further into debt and deficits…aren’t you proud! 87,504 governmental units in the United States as of June 1997 maintain Comprehensive Annual Financial Report (CAFR). CAFR is a second set of books, all governments are required to maintain. In addition to the Federal Government and the 50 state governments, there were 87,453 units of local government. Of these, 39,044 are general purpose local governments – 3,043 county governments and 36,001 sub-county general purpose governments, including 13,726 school district governments and 34,683 special district governments. For fiscal year 2009, auditors for many of the CFO Act agencies continued to report control deficiencies regarding entities’ financial reporting processes which, in turn, could affect the preparation of the consolidated financial statements. There continue to be undetermined amounts of assets, liabilities, costs, and revenues that are not included, and the federal government did not provide evidence that the excluded financial information was immaterial. Inadequate or ineffective (1) policies and procedures related to certain areas; (2) reviews of the financial statements and supporting documentation provided to GAO; and (3) processes for monitoring the preparation of the consolidated financial statements. Internal control deficiencies were identified at federal agencies accounting for the majority of the reported balances for loans receivable, mortgage-backed securities, and loan guarantee liabilities. April 2011 brought the GOP led by John Boehner to negotiate a $39 billion budget reduction. It represents 1% of the 2011 budget and approximately 0.26% of the Federal Deficit. Ah the celebrations, the anger, and the angst it created. How did you feel about the deal? I am not pleased. Look at the situation this way. Your annual family income is $50,000. However, your credit card debt is $375,000. After much debate, tears, and heartache; you communicate to your spouse a way to save $500! Never mind the fact you now spend $74,500, rather than your former spending of $75,000 on your income of $50,000. Hence, the taxpayers of our nation, no, your grandchildren, are on the hook for financial stupidity in Washington. The entitlement mentality of liberal socialism is killing us. “For society as a whole, nothing comes as a ‘right’ to which we are ‘entitled’. Even bare subsistence has to be produced…The only way anyone can have a right to something that has to be produced is to force someone else to produce it…The more things are provided as rights, the less the recipients have to work and the more the providers have to carry the load.” – Thomas Sowell. Or this great quote from Neal Boortz, “A politician cannot spend one dime on any spending project without first taking that dime from the person who earned it. So, when a politician votes for a spending bill he is saying that he believes the government should spend that particular dollar rather than the individual who worked for it.” – Neal Boortz. How do you feel about that? The debt issue is important beyond our ability to repay our obligations. Everything has limits and in the case of money, only so much exists. Consider this amount as “X”. When the United States, Greece or any other nation borrows money, consider this as “Y”, the total money available is reduced. “Z” equals the amount remaining to borrow and enables the formula: X-Y=Z. Simple enough right? “Y” is exponentially increasing and “Z” is decreasing. As the total money available for loans is limited and declining, a “crowding out” effect occurs. Meaning people, businesses, governments and nation’s ability to secure loans grow more difficult every day. Hence, those receiving loans will possess solid ratings and assets to guarantee the loan. Those absent these qualities will either not receive loans or reimburse lenders at gouging interest rates. How many “Holiday’s” do you not have to work? Is it 14? Unless you are a government employee, the answer is more likely six or seven. My way of viewing these days is, like the song, “Money for nothing”. Yet another example of politics, unions and government waste trumping the public interest and ultimately kicking the taxpayer where he or she sits. However, government employees are often compensated with generous paid vacations; personal days; a floating holiday and other benefits…ones not found in the commercial sector. The Bureau of Labor Statistics reports, “Total compensation costs for state and local government workers averaged $40.28 per hour worked in December 2010. Total employer compensation costs for civilian workers, which include private industry and state and local government workers, averaged $29.72 per hour worked in December 2010.” Did you notice a problem with this? First, why are government employees’ paid more? Secondly, why are people, paid by civilian employee taxes, earn greater compensation? The Bureau also released private sector wages average $27.75 per hour worked. Not only do government employees earn a higher base salary, but a more expensive benefit package. Further, in every employer arena, the expense of employee holiday, personal, and sick leave time exceeds vacation time expense. Hmmm, how many people, groups or businesses operate in this fashion, very few. Oh sure you will hear the left clamoring of debt to GDP; however, who cares! When has America issued debt or interest payments to a bondholder from GDP…never. GDP is only a guesstimate of future taxes, which may find their way to the Treasury. The Keynesian economist attempts throw blinders on us and whisper into our ears: it’s okay; however. This foolishness has not reduced the federal debt or social security obligations. Notice a Problem? People paying taxes earn less than Federal Employee’s. It takes 1.86 people to earn the avg. Federal Salary. It takes more than $320,000 earned to cover $70,000 tax bill (one fed employee). It takes SEVEN Taxpayers to compensate for ONE Federal Employee. Clearly, the earmarks; budget over-runs and wasted cash distribution to foreign countries is not the only problem. An entitlement guarantee’s the right to use benefits based on legislated rights. A “right” is itself an entitlement concomitant with an alleged “progressive” moral or social principle. An “entitlement” is a donation prepared in accord with legal context of government. 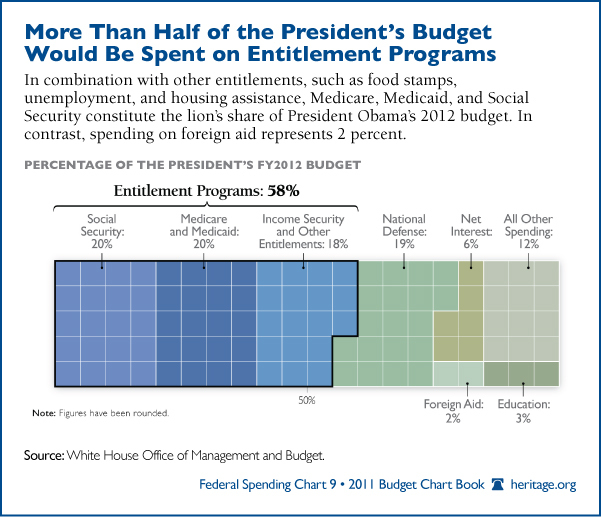 Entitlement Programs include: Food Stamps; Unemployment Insurance; Medicare; Medicaid; Student Loans; SSI; SSD; Subsidized Housing; Welfare; Headstart; Pell Grants; Child and Dependent Care Tax Credit; Pell Grants; Home Mortgage Interest Deductions; 529 Plans; Coverdell; Hope or Lifetime Learning Tax Credit; Earned Income Tax Credit; AFDC; Foster Care; Stafford Loans; Food Supplements; Low-Income Energy Assistance; School Lunch Programs;…Far too many to list here. Add Obamacare into the mix and it is disastrous. 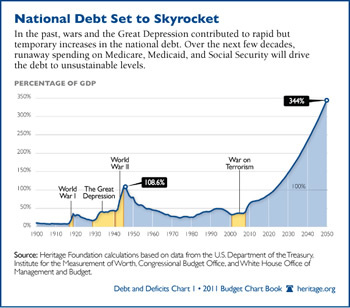 August 2011 our debt was officially downgraded…despite the warnings Barack and Congress both failed to avoid the downgrade. A friend put this into plain numbers for everyone to wrap their minds around. The situation reminds me of the movie “Vegas Vacation”; only, Washington politicians play Clark Griswold…not Chevy Chase. The U.S. money supply in July 2007 was $853 billion. However, in October 2010 the money supply = $1.969 Trillion! Obama is intentionally breaking the back of America! America’s tax code, if we are to have one, should incentivize saving and investment, not penalize Americans for debt and consumption. Read more in the Fair Tax chapter. Is America experiencing financial terrorism? Someone in the Pentagon believes it is. 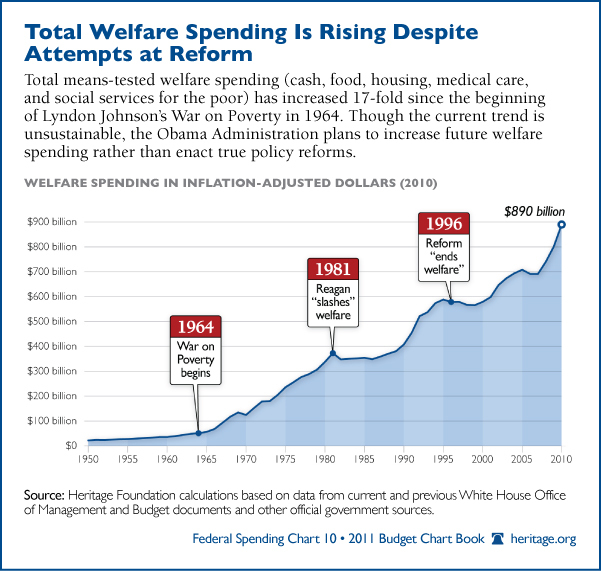 Kevin Freeman is an analyst who wrote a report titled, “Economic Warfare: Risks and Responses.” Must be a coincidence Obama increased welfare spending 54%; Medicare 16%; and Social Security 14% …in just two years! Do you think those people pay commensurate taxes to offset the incurred debt? What year did income taxation initiate? Who was taxed? How much? Why? How did the United States pay bills without income taxes? Why are tax breaks not the same for all businesses?